All students in the MSc programme Aerospace Engineering do an internship of at least 3 months in a company, university or research centre. Together they have completed projects, since 1999, in more than 640 organisations in all corners of the world. Explore these web pages to find out where the interns go, what they do, how their hosts value their contributions. 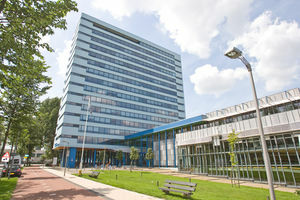 The aim of the internship is to expose students to a real professional work environment outside the TU Delft. The internship provides the opportunity to get a glance of the technical, social, economic and organizational aspects of Aerospace Engineering and/or related fields as a professional. It enables students to acquire professional skills different from those taught in the MSc programme.